I agree Deb. It’s important to honor all who serve or have served. 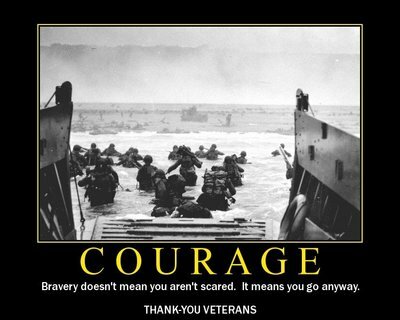 I chose this picture because my dad was also a WWII veteran. He was in one of the landings on Normandy Beach. He was wounded in action on June 8th and received one of his two purple hearts. Love this, Rose. Thanks so much for posting it on the blog. My dad, Charlie and Uncle Al were, of course, WW II veterans. My Uncle Bob is a disabled Vietnam Vet, and his grandson (my cousin’s son) came home from 2 years in Afghanistan a year ago. Those who give service to our country deserve to be honored.